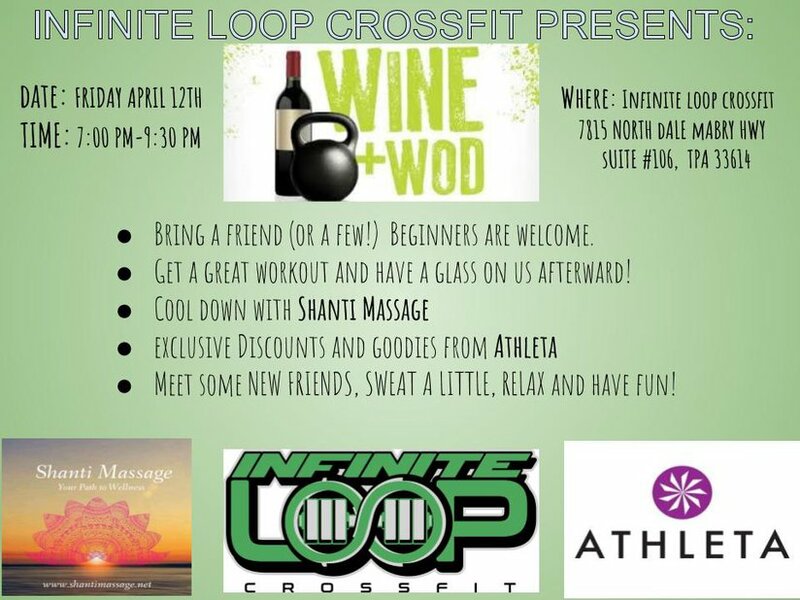 INFINITE LOOP CROSSFIT WOD N' WINE! COME IN AND JOIN US FOR A FUN WORKOUT ON FRIDAY, APRIL 12TH! THIS FREE EVENT IS GOING TO BE SOMETHING YOU DON'T WANT TO MISS! Bring a friend (or a few!) Beginners are welcome. Get a great workout and have a glass on us afterward! Meet some NEW FRIENDS, SWEAT A LITTLE, THEN SHOP & RELAX!